The Pneumatically Balanced Oceanic ZEO is an engineering marvel of precision, durability and comfort. 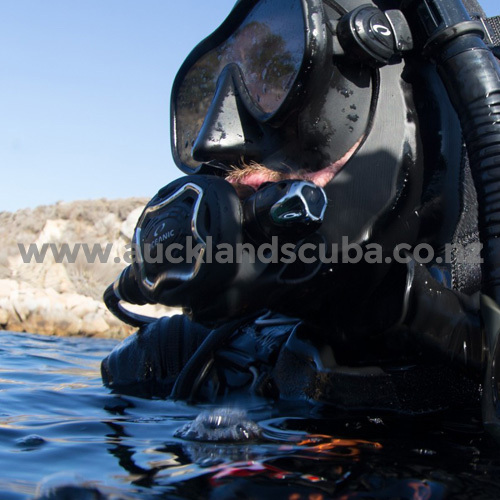 It uses a durable chrome plated marine brass metal second stage valve to deliver a phenomenal breathing experience with extensive diver control over the air flow profile at any depth. The new Cold Forged, Over-Balanced Diaphragm FDXi First Stage is environmentally sealed. The in-line design limits the pressure loss inherent in "L" type first stage designs making the FDXi more efficient and lighter due to its compact form. The FDXi offers a balanced diaphragm. The balanced diaphragm is inherently environmentally sealed. Water enters the main spring cavity and the pressure increase from the water is transmitted to the internal components by the impermeable diaphragm membrane. The benefit of this type of first stage design is that none of the delicate internal parts are exposed-to-contaminants such as salt, sand, chlorine or pool acids. These environmental contaminants can cause corrosion and mineral deposits to form on the internal mechanism deteriorating regulator performance. A diaphragm first stage regulator requires less-maintenance then regulators that allow these contaminates to enter the internal mechanism. In addition the FDXi first stage regulator has a secondary diaphragm to completely seal-off the main spring cavity. A sealed balanced diaphragm design; Enviro Kit and patented DRT (Dry Regulator Technology) isolate the main spring cavities internal components from the environment. It also means the FDXi is excellent for ice diving (it won't freeze up) or diving in waters filled with contaminants or sediment (it won't corrode). At 21 oz (595.3 g), the FDXi is Oceanic's lightest weight first stages. The FDXi first stage has 4-low pressure (LP) and 2-high pressure (HP) ports. The regulators angled ports provide ideal hose routing and improved flow rate over standard right-angle first stages. 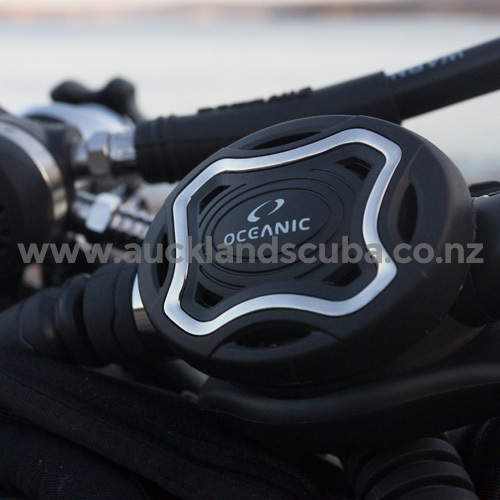 Oceanic started with the pneumatically balanced EOS, a legendary regulator known for its comfort and breathing profile and ended up with the ZEO. 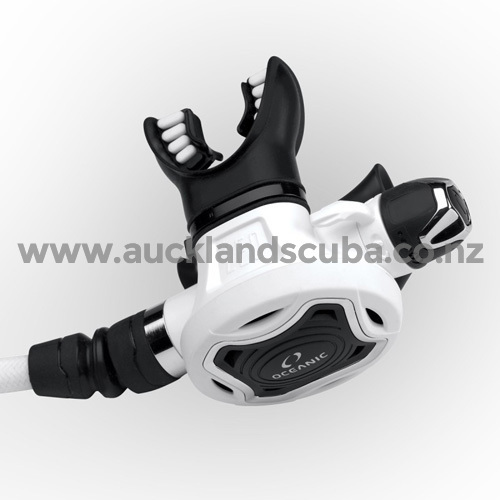 Like its predecessor the EOS, the ZEO is also a phenomenal breather allowing the diver extensive control over the air flow profile at any depth. 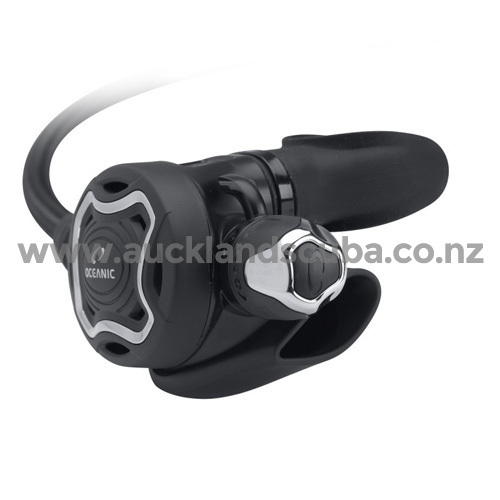 It takes this design one step further however by incorporating a tough and corrosion resistant chrome plated marine brass valve that has better cold water performance and even a better breathing experience. The all metal valve encourages the condensation of water vapor from your exhalation on the valve housing. When you inhale that condensed water vapor circulates with the airflow and help to reduce "dry mouth" and increase the overall level of comfort. 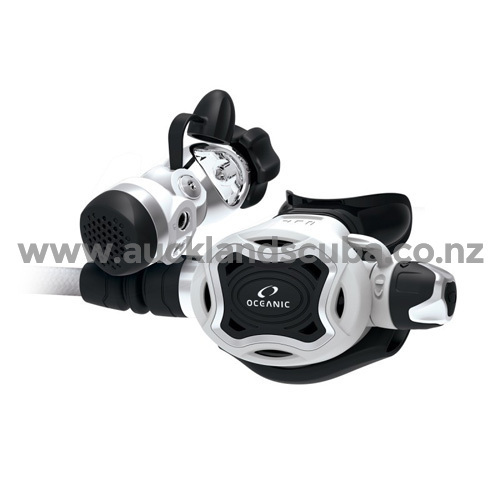 The ZEO also comes with Oceanic's patented dynamic adjustment technology, diver inhalation effort adjustment controls, dive/pre-dive switch, in-line ball swivel, 3/8" threaded MaxFlex 30" (76.2cm) hose and a super-comfortable orthodontic mouth piece all to reduce jaw fatigue. The ZEO/FDXi combination is everything you need for a sublime breathing experience at any depth and in any environment. 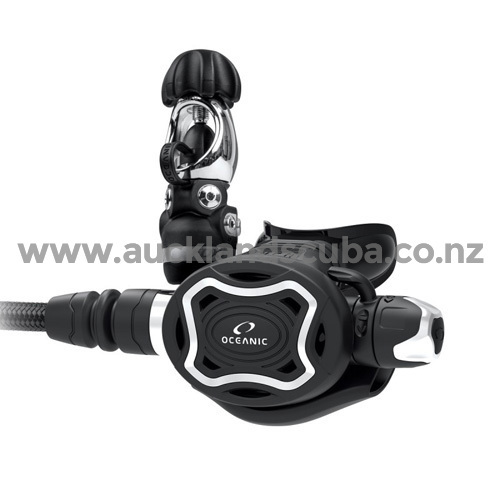 From the balmy tropical waters of the Caribbean to the extremes of cold water diving's best dive sites, the ZEO will perform with reliability, consistency and comfort and makes taking your favorite regulator literally anywhere, that much easier. The yoke regulator weighs 27.2oz (771g) without the hose, is Nitrox compatible up to 40% out-of-the-box, comes with an owner's manual and is covered by a 24 month limited warranty. Condensed Water Vapor Circulates Reducing "Dry Mouth"